The all-new XVers vertical firetube modulating condensing stainless-steel boiler, in sizes from 855 to 3000 MBTU. The XVers provides eXtreme VERSatility for boiler applications, with turndowns up to 15: 1 and cutting-edge control technology. The installer and building owner enjoy broad installation flexibility, easy commissioning, optimum seasonal efficiency, and long-term reliability. 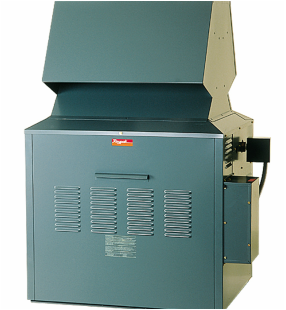 The proven XTherm - vertical modulating condensing boiler in sizes to 4,000,000 BTU. 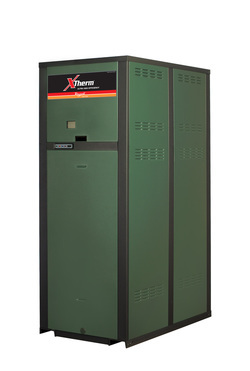 XTherm combines time-honored high-recovery copper fin technology with cutting-edge control and combustion advancements. The installer and building owner enjoy broad installation flexibility, easy commissioning, optimum seasonal efficiency, and long-term reliability.